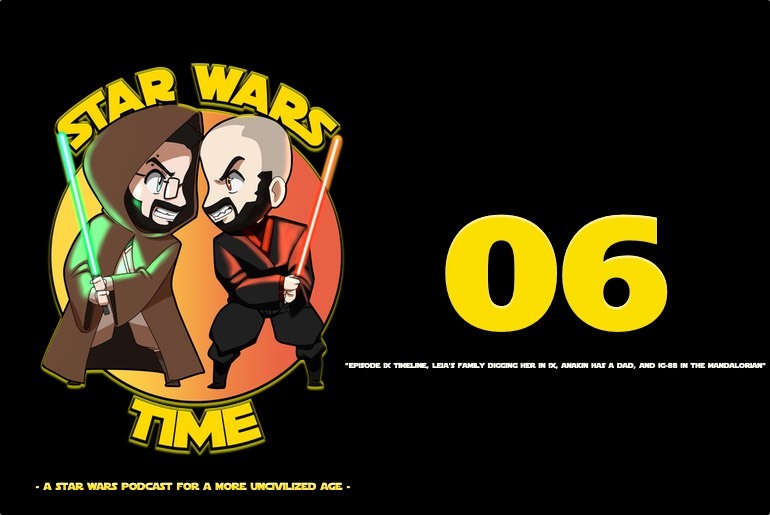 Welcome Back to the Star Wars Time Show! This week we are going to cover all of the tidbits of news that dropped during the holiday season and also look into the future of what may be coming in the new Star Wars properties releasing in 2019. First up Matt and I talk about possibly the biggest off screen reveal ever in Star Wars history, the unmasking of Anakin Skywalker’s father. This is quite possibly the biggest unanswered question is all of Star Wars canon, and it was revealed via the current Vader run of comics. Next up, we riff on Jan Favreau’s reveal of infamous bounty hunter IG-88’s inclusion in The Mandalorian and what that could lead to for the series as a whole. More bounty hunters, the resurrection of Boba Fett? Lots of possibilities with this one! Moving on to Episode IX news, we cover the possible leak/reveal of the timeline for IX thanks to our boy John Boyega, and we discuss Todd Fisher’s feelings about Carrie Fisher’s send off in Episode IX. Let us know your thought on these topic via Twitter, Facebook, or YouTube and make sure to smash those follow button as well! May the Force be with you, always.